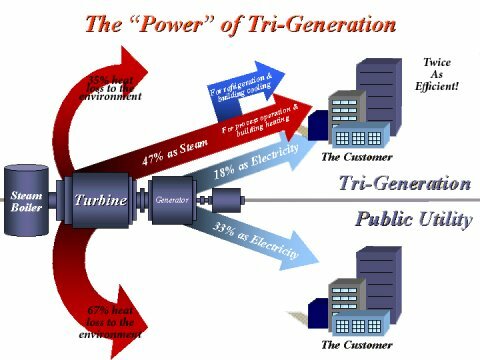 Eastman Business Park offers a full suite of utilities using the power of Tri-Generation. High pressure steam from utility-grade boilers is used to "Co-Generate" electricity before distributing steam at different pressure levels, and is also used to "Tri-Generate" refrigeration for process and comfort cooling. Powering the site as a whole makes Eastman Business Park twice as efficient as a standard public utility. 117,000 KW firm capacity with backup inter-connections with public utility. Generated at 13,800 volts and distributed on a small grid with underground redundant feeds to double-ended load centers/substations for highest reliability and quality. Standard delivery is nominal 480 volt, 3 phase alternating current. 1.5M lbs / hour firm capacity from utility-grade boilers with emergency backup boilers. Generated at 1,400 psig/900°F and supplied at different nominal pressure levels of 260 psig, 140 psig, 70 psig and 5 psig. 54 million gallons per day nominal capacity. Backup from public water systems. 36 million gallons per day capacity with Title V / RCRA permitted multiple hearth incinerator. 47,000 standard cubic feet per minute installed capacity with a nominal gauge pressure of 75 psig and a maximum dew point of 55°F. 148,000 standard cubic feet per hour installed on-site plant capacity with equivalent capacity of backup liquid vaporizers. Minimum purity is 99.999% with a nominal gauge pressure of 70 psig and a maximum dew point of -100°F. General trash, metal, plastic and corrugated service by Waste Management. Dock service, roll offs and compactors. Special waste disposal. Non-hazardous waste liquid waste removal.